Women are Born With all the Eggs They Will Ever Produce - Fact or Myth? Everything You Need to Know About ObamaCare For 2018 – 2019 Is Political Identity Related to Androgens and Estrogens? How to Lose Body Fat, According to Science What is Tripping? A woman is born with all the eggs she will ever produce. The problem here is that while research shows that it is very likely that women can make new eggs, there doesn’t seem to be definitive proof one way or the other. That means that the meme that says, “A female fetus is born with all the eggs she will carry in her lifetime. 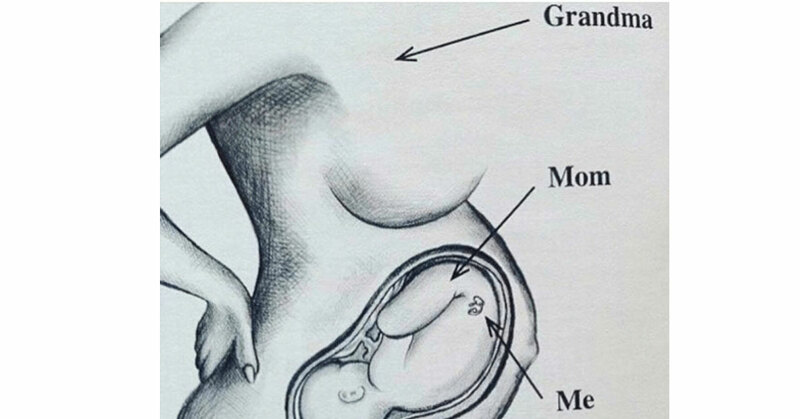 When your grandmother was carrying your mother in her womb, you were a teeny tiny egg in your mom’s ovaries”… is a very little misleading at best if not wrong. That meme assumes the old science is true, or at least assumes that you were made from the original eggs your mother developed and not new ones. That assumption cannot reasonably be made. That meme fails to mention that an unfertilized egg only carries 1/2 of the DNA that becomes a person (so it is at best half of you). Genetic females do develop egg cells during the embryonic stage while still in their mother’s womb, and then carry them throughout their life. So there is a possibility that one of those cells became 1/2 of you. However, if it is true that women can grow more egg cells as recent research suggests, then it means there is a possibility that the egg that became 1/2 of you wasn’t present in your mother when she was growing in your grandmother’s womb. The research showing that women may continue to produce eggs is from 2004, and I haven’t found any research to debunk this research or to definitively prove it. However, one considers that the research backing up the idea that mammals don’t reproduce eggs is even older and based on assumptions (read more about the details of those assumptions here), I think it is safe to say the idea that women for sure can’t produce new eggs is a myth. The logic being, if we don’t know something is a fact for sure, or don’t at least have a scientific theory suggesting it should reasonably considered a fact, then stating it as fact is itself a myth. NOTE: The claim that women are born with all the eggs they will ever produce is a long held belief that recently became a meme. The claim that women can create new eggs comes from a 2004 study published in the scientific Journal Nature. See: Nature’s Ovaries may lay new eggs. FACTS: All humans start as a single fertilized cell containing 1/2 of the mother’s DNA and father’s DNA. To get to the stage where a genetic female that can develop eggs does, it takes time. After that stage is reached, egg bearing humans that do bear eggs will begin to produce eggs. Those eggs will then be carried with them into their reproductive years, but they are also depleted over time. Further, research suggests new eggs may grow during a woman’s reproductive years. Please see the citations for the specifics of sexual reproduction and egg cells. While the research isn’t 100% definitive, the science suggests women are not in fact born with all the eggs they will ever produce. Details and Semantics on the truth value of the premise: There is no proof one way or the other in respect to women and egg production. So while the answer is “we don’t know” if women can produce new eggs, we do know that research seems to suggest it. Since “we do not know,” the statement “women are born with all the eggs they will ever produce” it is not true…. thus, we have rated that statement a myth. Thus, in the case, while the statement is a myth, the opposite is not a fact. Instead, both the statement and its opposite are potential truths. Women Can Make New Eggs After All, Stem-Cell Study Hints. NationalGeographic.com. Women Not Born With Lifetime Supply of Eggs?. WebMD.com. Can you tell me, please, who painted the graphic above the text? I am not sure, the graphic above was the one circulating around with the meme, so I featured it accordingly to add clarity to the topic.